I have a penchant for handmade soaps that are lovingly made from the highest quality ingredients available. 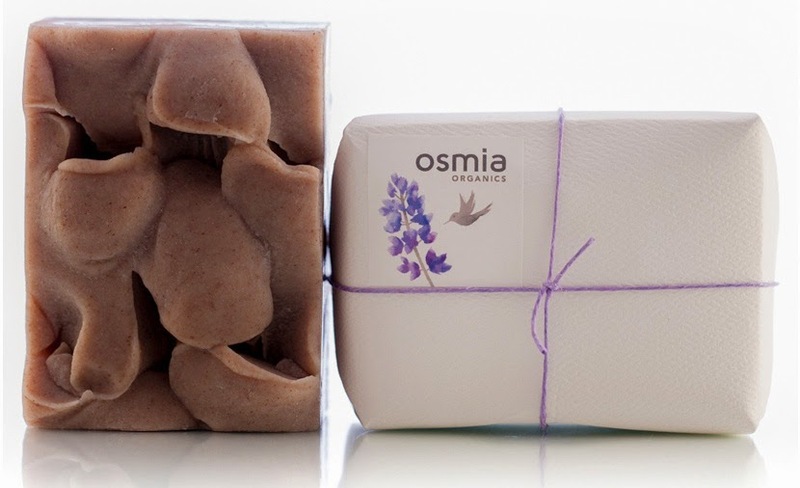 As one might expect, Osmia Organics makes among the very finest organic handmade soaps that I have ever used. They boast the perfect amount of lather, smell and feel amazing on the skin, and are healthy and safe for the earth and its inhabitants. 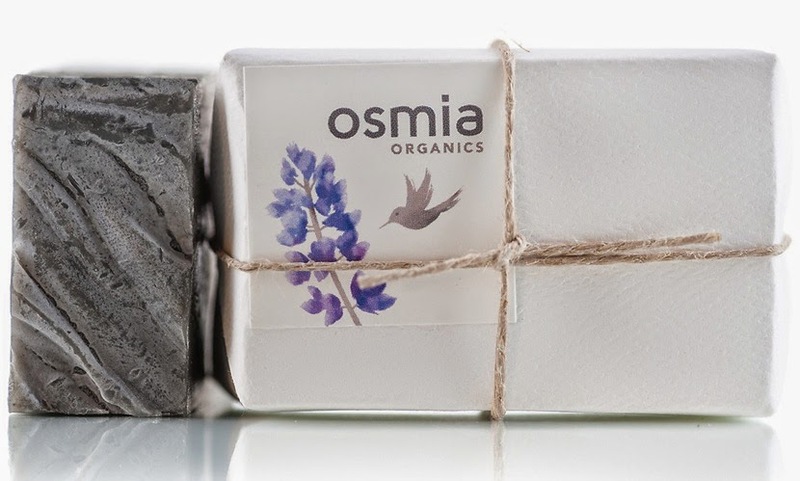 Osmia organic soaps are hand made in batches of 33-40 bars at a time. We use organic oils, and only botanical colorants and scents (essential oils). They are allowed to cure for 8 weeks (2-4 weeks longer than many soapmakers allow) to ensure that enough water has evaporated from the bars - they will last longer this way! Using a soap saver (below) will also prolong the life of the bar significantly. 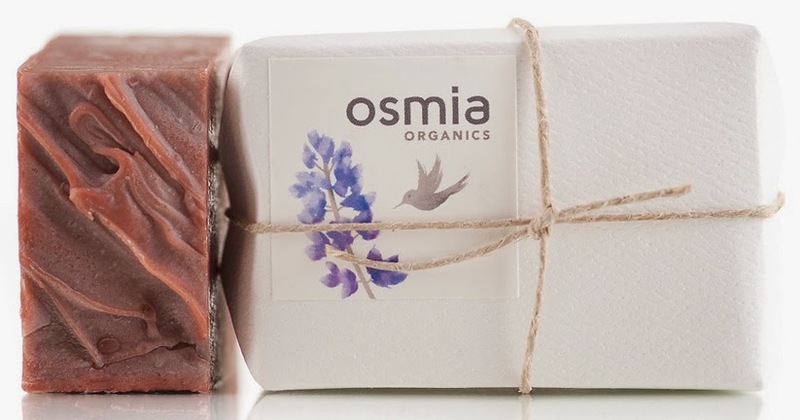 A word of caution: once you start using Osmia's hand made organic soap, you may not be able to stand the stuff off the shelf any more. It has happened to my entire family and all my friends. Lavender Pine Soap is an unmitigated delight to the senses. One might think that these two powerful scents might seek to compete with one another, or even cancel each other out and create a singular strong scent from which neither is easily detected. However, this beautiful soap strikes the perfect balance between these two scents, and the end result is a subtle and beautiful combination of both. Lavender Pine Soap boasts the perfect amount of creamy and emollient lather, and once activated by water the scent creates a beautiful aromatherapeutic experience. 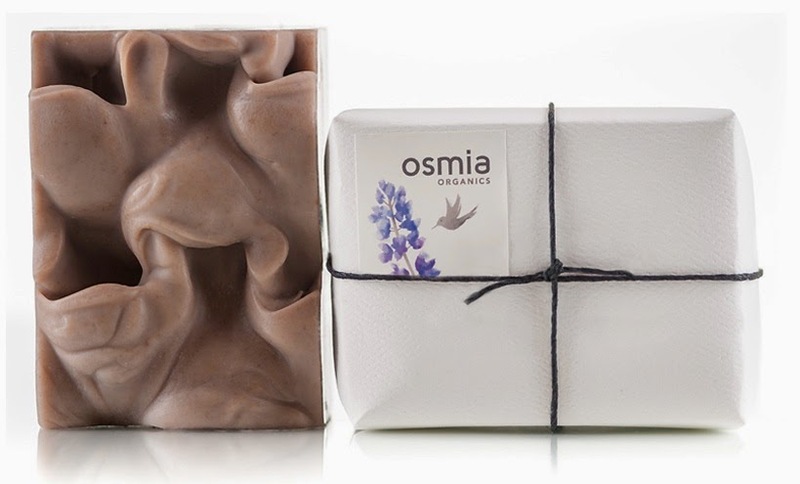 Rather than stripping the skin as many soaps are known to do, this wonderful soap leaves skin perfectly moisturized. Lavender and pine in a beautiful purple bar. The scent is wonderful - the lavender and pine essential oils combine perfectly. Mildly exfoliating due to the sandalwood powder, this soap also has a great feel on the skin. How: Use daily as needed. Ingredients: [*=Certified Organic Ingredient] Saponified Oils/Butters Of Olea Europaea (Olive)*, Butyrospermum Parkii (Shea)*, Orbignya Oleifera (Babassu)*, Elaeis Guineesis Kernel (Palm Kernel)*, And Ricinus Communis (Castor)*, And Persea Gratissima (Avocado)*, Hand-Harvested French Grey Sea Salt, Wildcrafted Pterocarpus Soyauxll (Red Sandalwood) Powder, Buttermilk Powder*, Proprietary Blend Of Organic Or Wild Essential Oils, Rosmarinus Officinalis (Rosemary) Antioxidant*, Gmo-Free Vitamin E Oil. Ylang Spring Soap is just amazing! It smells so delectable that I go out of my way to use it just to inhale the lovely scent. The creamy and emollient lather leaves skin moisturized, and the scent calms the senses. Ylang and sweet orange - this scent grabs me every time I walk past the soap curing rack. Clean, fresh, feminine, and sweet. Ingredients [*=Certified Organic Ingredient] Saponified Oils/Butters Of Olea Europaea (Olive)*, Butyrospermum Parkii (Shea)*, Orbignya Oleifera (Babassu)*, Elaeis Guineesis Kernel (Palm Kernel)*, Coconut Milk*, Hand-Harvested French Grey Sea Salt, Alkanna Tinctoria (Alkanet Root) Extract, Iris Germanica (Orris Root) Powder*, Proprietary Blend Of Essential Oils*, Rosmarinus Officinalis (Rosemary) Antioxidant*, Gmo-Free Vitamin E Oil. Black Clay Facial Soap is an amazing soap that leaves the face perfectly balanced and toned, but instead of leaving the skin stripped it is left comfortably hydrated. The soft and creamy lather is so decadent and pleasant to use that it's hard to believe that a balancing soap could be as hydrating as it is! My combination skin feels and looks amazing every single time that I use this brilliant soap. Ingredients: [*=Certified Organic Ingredient] Saponified Oils/Butters Of Olea Europaea (Olive)*, Elaeis Guineensis Kernel (Palm Kernel)*, Mangifera Indica (Mango), Prunus Amygdalus (Sweet Almond)*, Cocos Nucifera (Coconut)*, Ricinus Communis (Castor Bean)*, Persea Gratissima (Avocado)*, And Simmondsia Chinensis (Jojoba)*, Coconut Milk*, Dead Sea Mud, Hematite (Australian Black) Clay, Proprietary Blend Of Essential Oils*, And Rosmarinus Officinalis (Rosemary) Antioxidant*, Gmo-Free Vitamin E Oil. Rose Clay Facial Soap is not only a wonderfully gentle soap, but the mild rose scent makes using it an amazing sensory experience. The creamy emollient lather pampers the skin leaving it scrumptiously soft, smooth, supple and hydrated. Ingredients [*=Certified Organic Ingredient] Saponified Oils/Butters Of Olea Europaea ( Olive)*, Elaeis Guineensis Kernel (Palm Kernel)*, Mangifera Indica (Mango), Prunus Amygdalus (Sweet Almond)*, Cocos Nucifera (Coconut)*, Ricinus Communis (Castor Bean)*, Persea Gratissima ( Avocado)*, And Simmondsia Chinensis ( Jojoba)*, Coconut Milk*, Kaolin Clay, Proprietary Blend Of Essential Oils*, Rosmarinus Officinalis (Rosemary) Antioxidant*, Gmo-Free Vitamin E Oil. Overall assessment: Everything that Sarah makes is amazing, and her soaps will leave you deliriously happy! They take the experience of washing your face and body from the ordinary to the extraordinary!